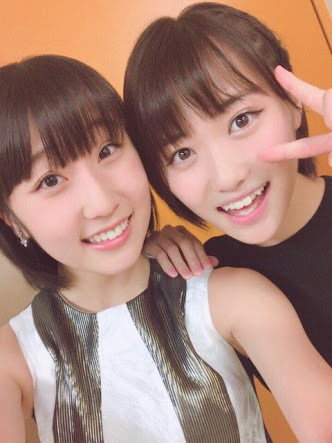 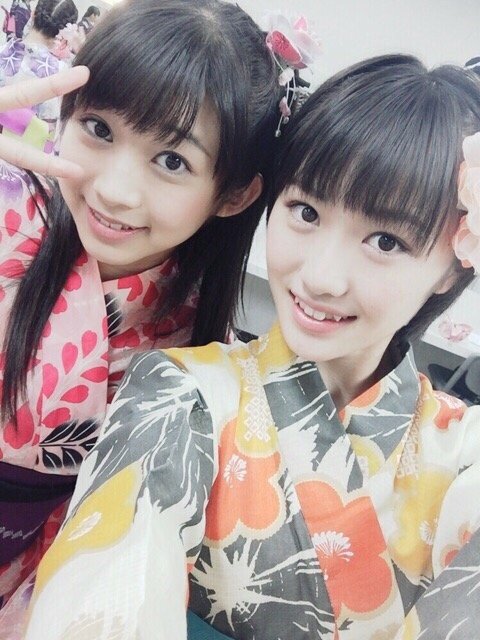 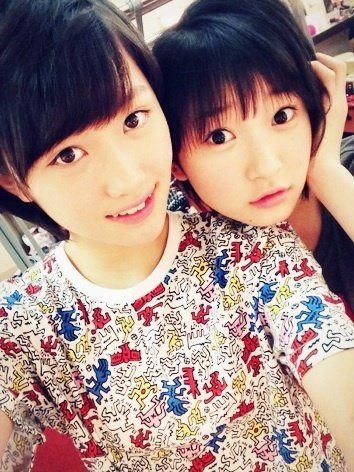 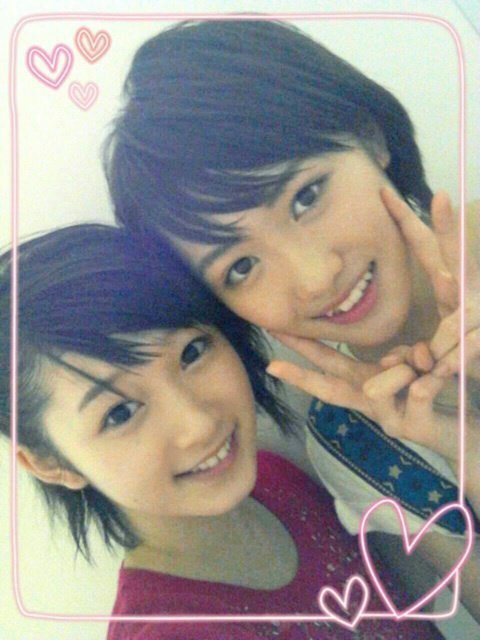 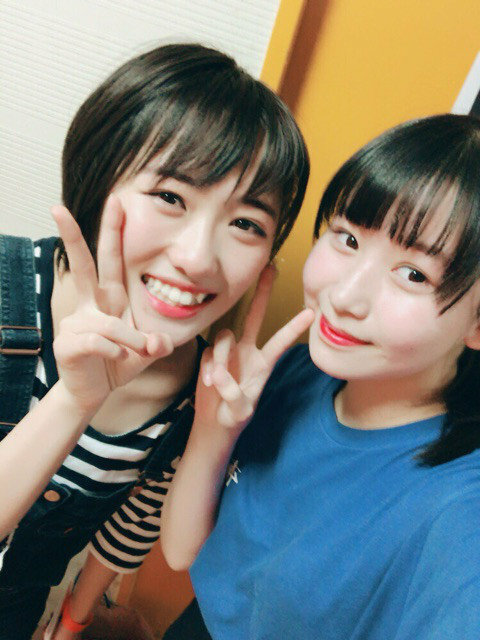 Sasaki Rikako: see "Girls under the spell of Maho Tsukai Sasaki Rikako"
Does anyone have any "evidence"? 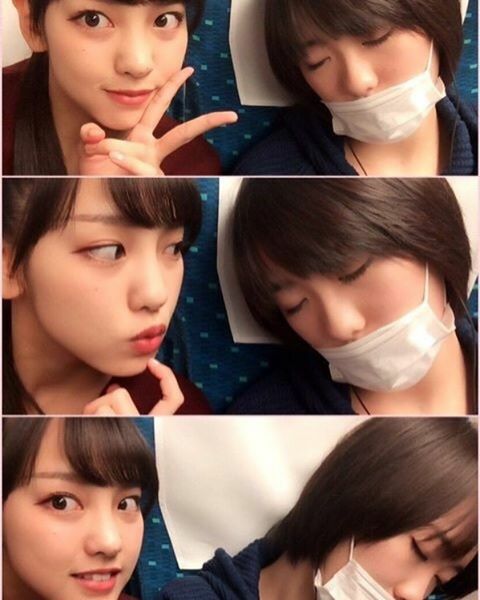 Takagi Sayuki: see "The Kudo Haruka and Takagi Sayuki thread"
UTB+ calls the MariaDuu photoshoot a "Couple Gravure shoot". 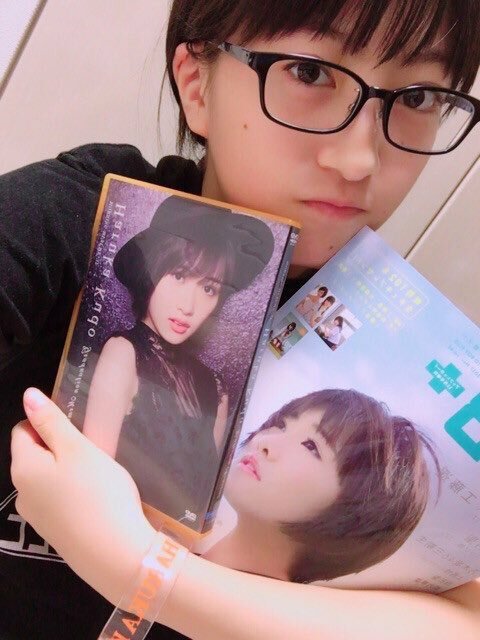 Depending on the comments and reactions on twitter from everyone about this, UTB+ staff will consider releasing a "Love Love MariaDuu" extra giant poster as an extra in the issue or separate. 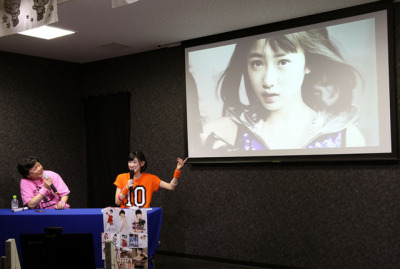 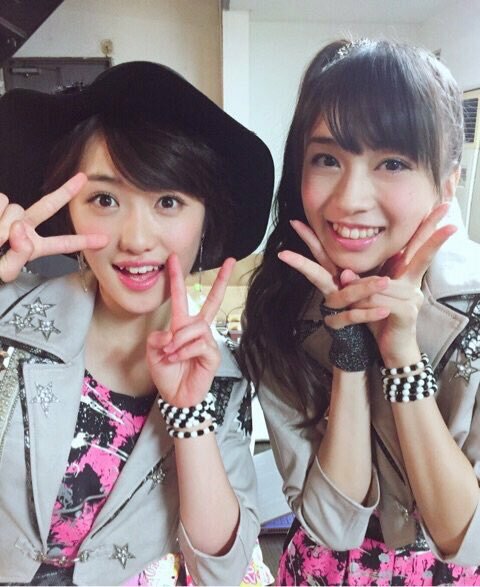 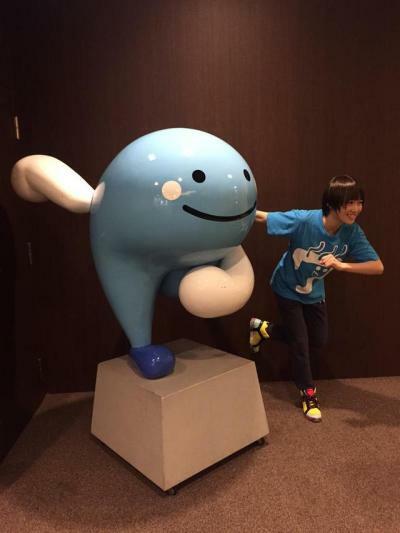 They also said to refrain from mentioning about this to Sato Masaki. 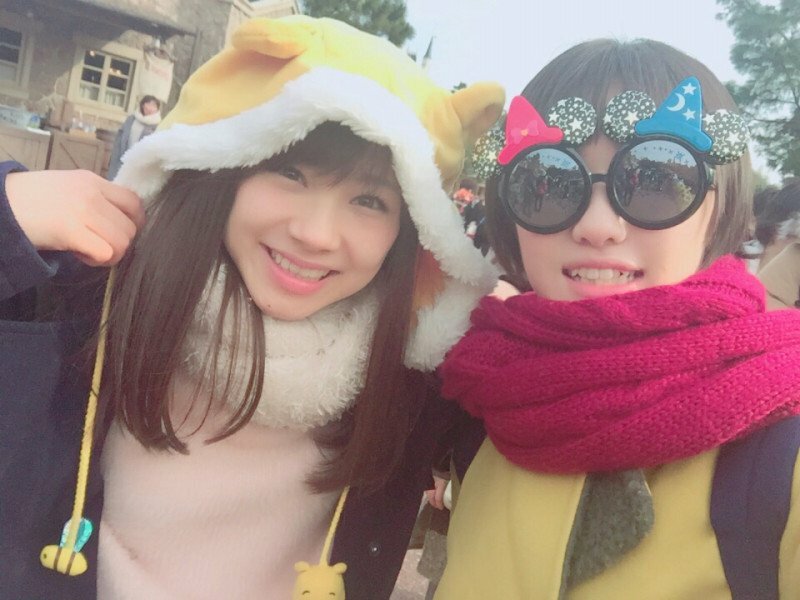 Ayumi and Kudo went to Tokyo Disney yesterday. 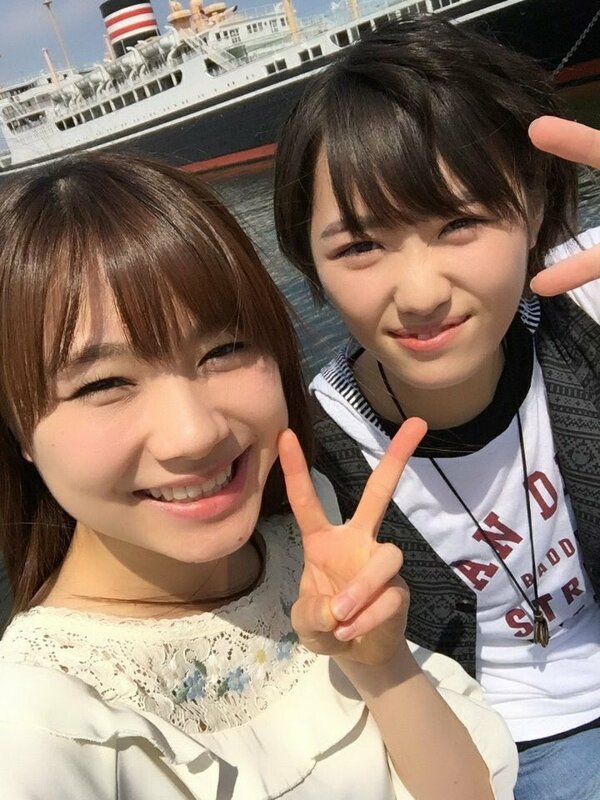 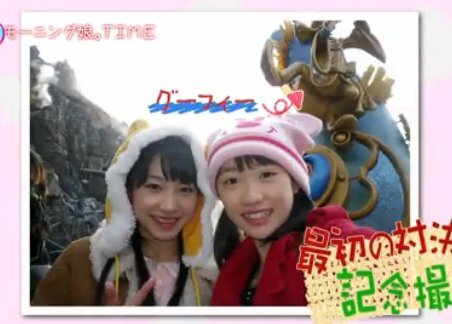 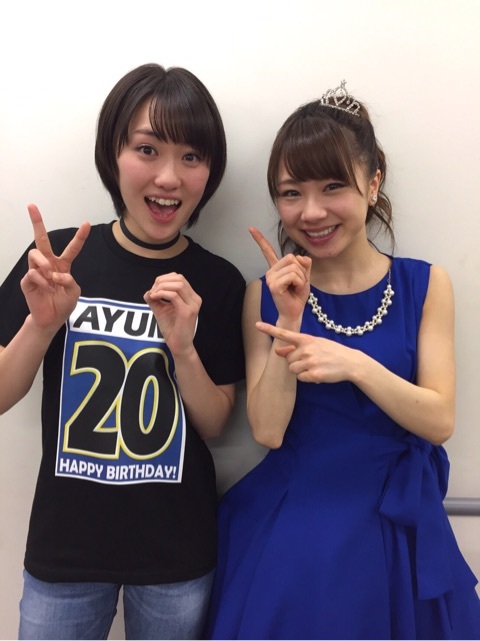 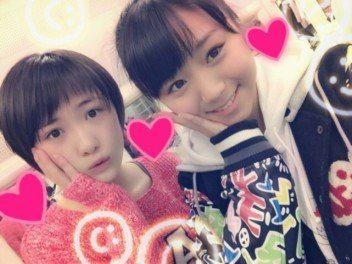 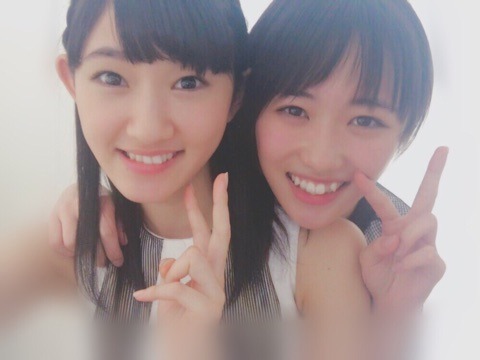 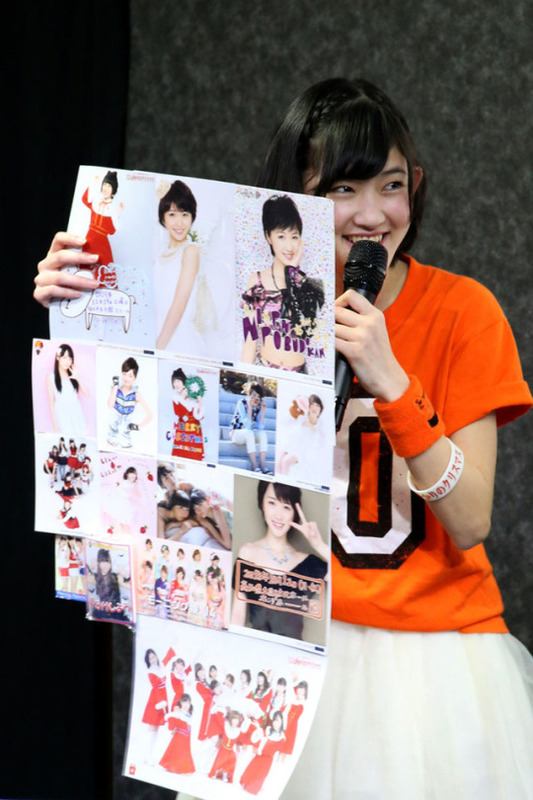 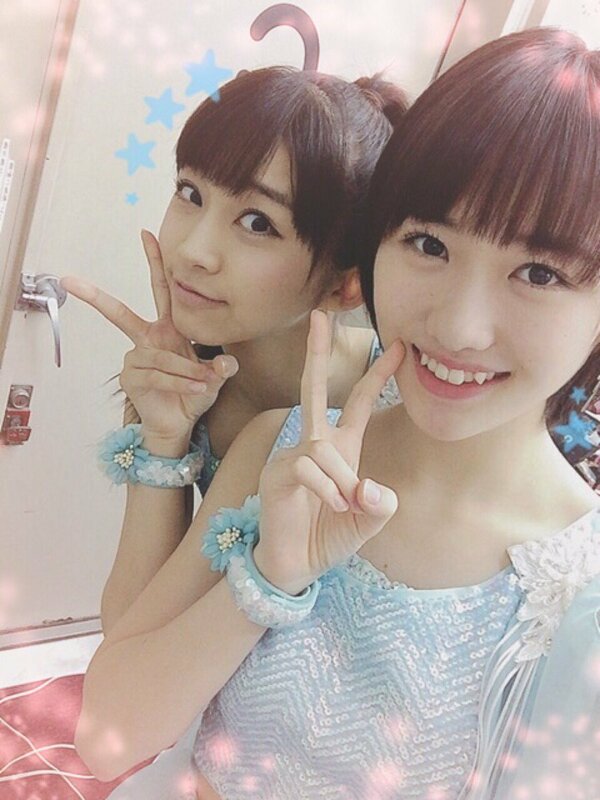 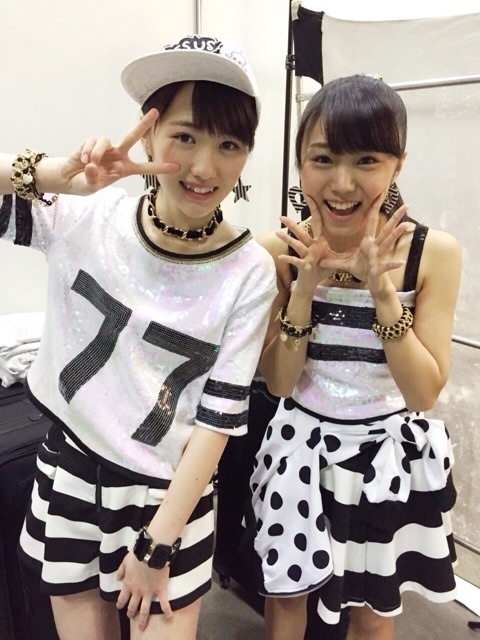 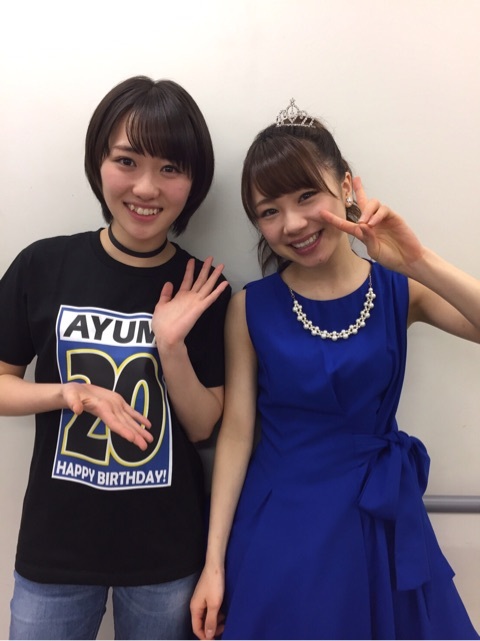 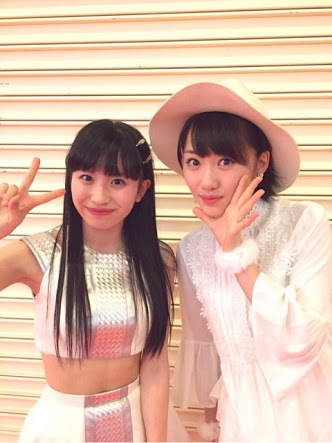 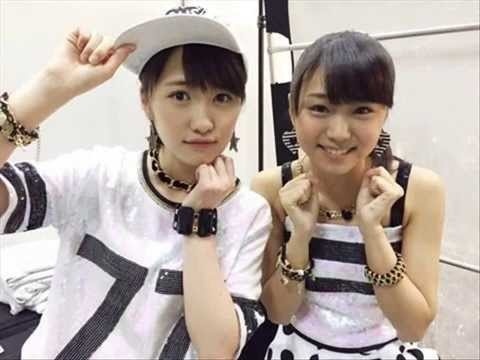 Ayumi got the Disney tickets from Suzuki Kanon as a birthday present and invited Kudo to go with her. 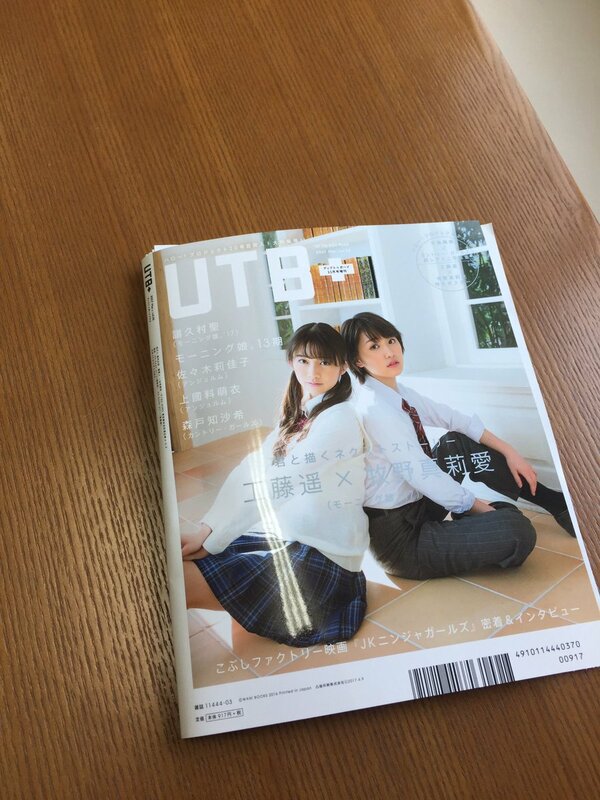 UTB+ vol.38 will be another Hello! 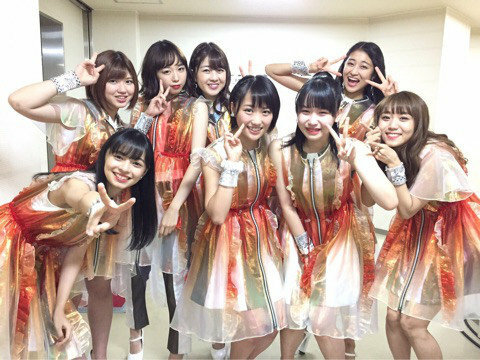 Project loaded gravure issue with C-ute's last photobook as the feature. 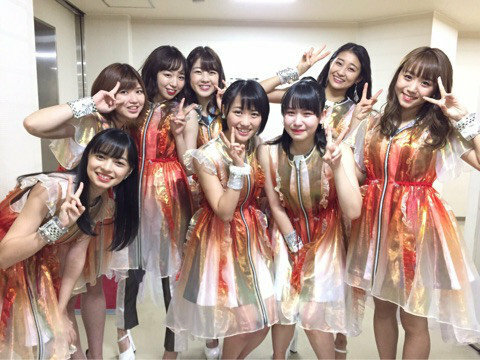 Morning Musume. 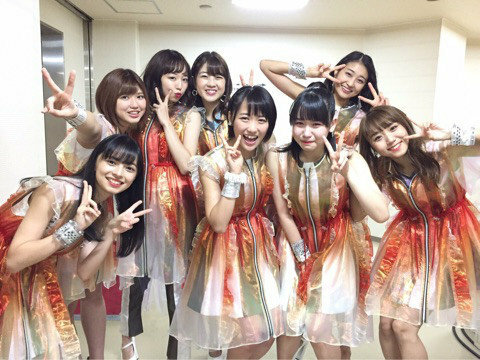 '17 members Mizuki, Ayumi, Sato, Kudo, Oda, Nonaka, Maria, Kaga, and Yokoyama had a photoshoot for UTB+ magazine vol.38. 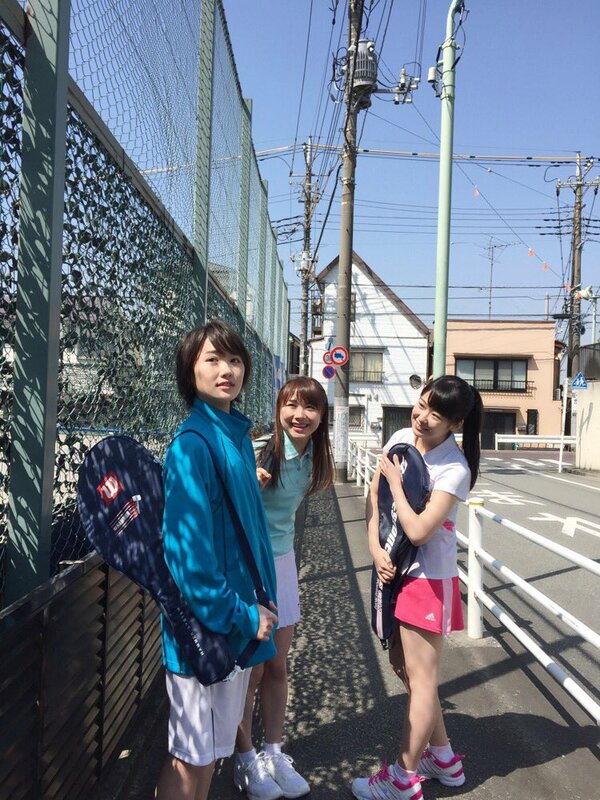 There was a discussion on Twitter on "which j-dorama this picture was from". 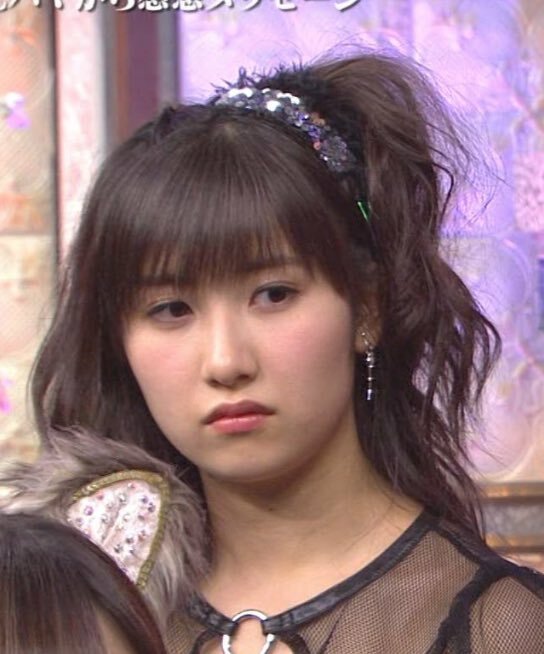 Apparently it is from "Duu you love me?" 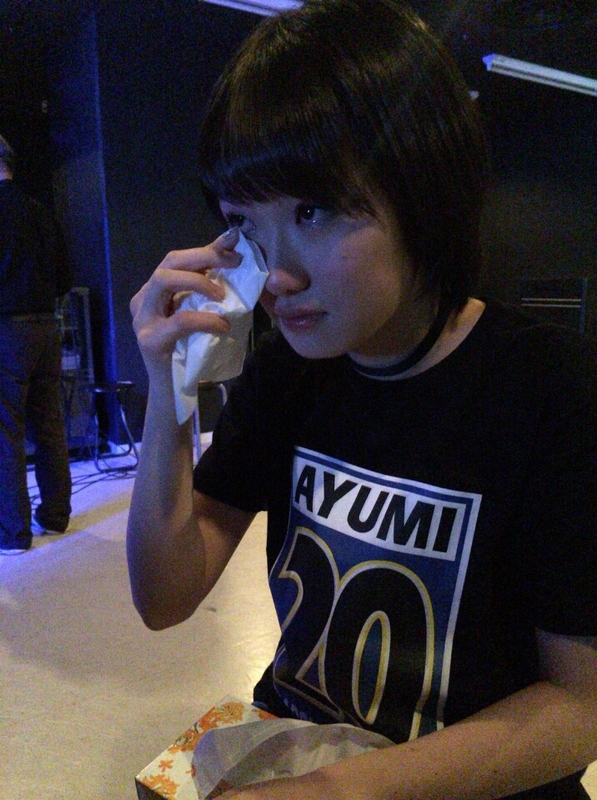 and in the scene Haruka is looking at Masaki run away in tears after an argument while Miki and Ayumi swoop in and try to tempt Haruka to hang out with them. 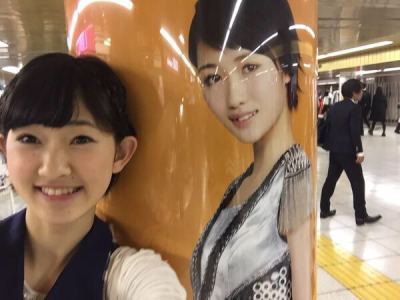 Judging from the crowd reaction, the screening was a success. 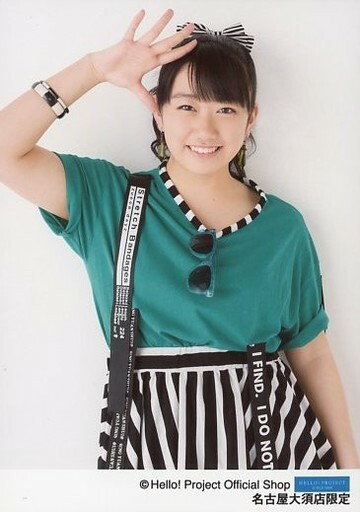 Question: What's your ideal date plan? 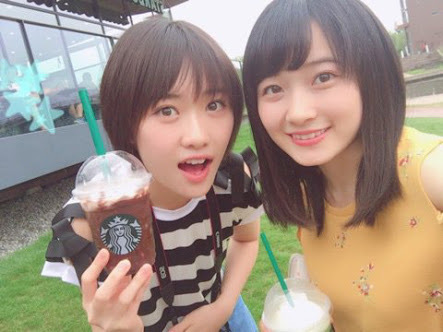 I'd want to wander around my beloved hometown of Otaru in Hokkaido and eat delicious food, look at the pretty and cute music boxes and glasswork, and buy matching glass cups. 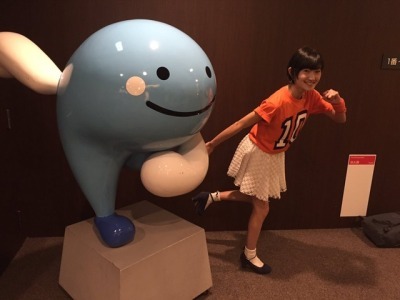 Kudo Haruka-san would be my partner.